Due to the special makeup of the human body, back and neck injuries are quite common in truck accidents. They don’t have a lot of guarding from muscles or fat and, therefore, are quite delicate portions of the human system. Thus, just a minor incident can trigger a serious harm with long-term health consequences to the victim. If this happened to you, Rosenfeld Injury Lawyers LLC can bring a claim for relief on your behalf in Illinois. We can represent you in a way that secures all available compensation under the law. Keep reading the following sections to learn about important topics related to truck accident lawsuits. Then, call our offices and begin the path to relief! 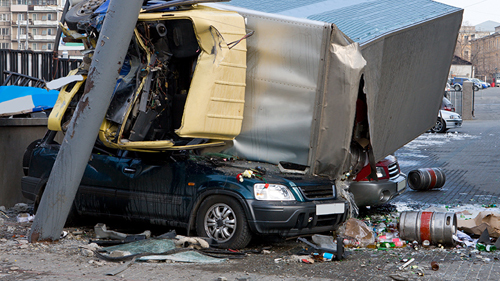 Truck Accident Lawyers That can Help You in Chicago! Truck accidents are particularly violent events. They leave all parts of the body subject to serious injury. Damage to the neck and back is especially common. Our team works with victims that have suffered these injuries from truck crashes. We see the impact it has on their life. Herniated Disk: Herniated disks are one of the most serious problems that can emerge from a truck accident. It occurs when something bad happens in the cushion between the bones in the spine. If the cushion juts out or tears, then you will probably have a herniated disk and will most likely experience pain. Whiplash: Whiplash is a condition that happens when the neck and head are quickly thrust back and forth. It causes pain throughout the general region of the body and can manifest in several different ways. Sprain/Strain: Truck accident victims strain their back or neck when they damage tendons, muscles, or parts of the body that connect tendons or muscles. They sprain their back or back when they damage tissues that connect bones in that area. These are various injuries but there are other ways in which you can injure your back and neck in a truck crash. Plus, there are so many symptoms that it makes pinpointing what you have difficult. For instance, you might feel very tired, have a hard time sleeping, get dizzy, have a headache, or feel other side effects. To figure out what type of neck or back injury you sustained following an Illinois truck accident, consult your personal physician. If you suffer from back or neck pain after a truck accident, you should sit down with your doctor and review all of your short-term and long-term treatment options. Your plan of care should be specific to your individual injuries. Also, it may be very expensive and this is something that can affect the value of your claim. To learn about what you could recover to help pay for the costs of these pricey treatments, call our office and speak with someone from our team. We have helped other back and neck injury victims recover and we can show you what might be possible. “What is my case worth?” We know that this is probably what is centrally on your mind if you have been injured in a truck accident. While a more detailed answer can only come from an expert analysis of the accident facts, your injuries, and Illinois laws, there are some quick calculations you can do to get an estimate. First, add up all of the bills that the truck incident cost you. Second, multiply this figure by a number between six and ten if you suffered intangible injuries like long-term pain, disability, or disfigurement depending upon how serious these harms were. Third, subtract twenty-five percent for costs. This solution should give a rough guide to the value of your claim. Again, call our offices to get a more thorough analysis and better prediction to what your case could be worth. The extraordinary pressure that truck accidents create put lots of pain and stress on the human body. Neck and back injuries are incredibly common in these circumstances and, unfortunately, incredibly costly. Below we have compiled some truck accident verdicts and settlements from different jurisdictions in Illinois related to people with back and neck injuries. If you have been injured in a truck crash case in Illinois, we invite you to contact our office for a free case review with an experienced attorney. All of our cases are handled on a contingency fee basis-- meaning there is never a legal fee charged unless there is a recovery for you. This controversy involved a sleepy truck driver and an old country road. He was driving down one morning when he accidentally let his car slip off and hit a light pole. The pole fell over and obstructed most of both lanes. In the other direction, another driver approached the area but could not avoid the obstruction. He injured his lower back, hip, and shoulder in the collision. The injured man sued the truck driver for negligence. The suit alleged that the defendant should have kept a better lookout, applied the brakes sooner, and avoided the light pole. The defendant could not mount a serious defense so he tried to settle. The plaintiff received $15,000 in an out-of-court settlement. A cab driver was going about his route one night when a truck suddenly backed out into his lane. There was no time to react and the cab slammed into the side of the other vehicle. 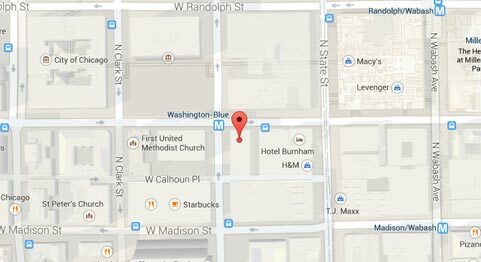 The cab driver was severely injured. He sustained a serious neck injury as well as second-degree burns. He also reported to psychiatrists that he was suffering from post-traumatic stress disorder. Eventually, he sued the truck driver for negligence. His suit stated that the defendant should have looked before backing out into the street and otherwise maintained his vehicle better. A woman was driving her family along a busy highway near downtown Chicago when a truck in the neighboring lane immediately veered into hers. The jolt caused her to react and go into the opposite lane except there was a car there. She collided with that vehicle and then into a bunch of barrels. The incident caused the mother severe cervical strain. The victim in this tale was actually the truck driver. He was driving his dump truck down a narrow, back alley when another car crossed the yellow line and hit him head on. Police reports later verified that the gentleman who initiated the crash was drunk and high on drugs. This dispute involved two trucks. At a weigh station, one of them was awaiting service when the second one slid right into the back of the first truck. The driver was actually still in the vehicle and sustained moderate whiplash because of the collision. He sued the other truck driver and the driver’s employer for negligence. His suit alleged that that the defendant employee should have reduced his speed and kept watch to avoid the crash. The defendants admitted that they were responsible for the incident and negligent in causing it but denied that the plaintiff’s injuries were as severe as he claimed. Thus, the sole issue at trial was the extent of damages. The jury found that the appropriate amount was $46,714. Here, a tractor-trailer truck caused a large chain-reaction crash involving multiple vehicles. One of them was in a car and sustained multiple back injuries and whiplash that prevented him from being able to completely return to work. Faced with the obvious prospect of losing in court, he advised his counsel to settle quickly with all victims. This plaintiff received $305,000 in an out-of-court settlement for his economic and non-economic damages. The victim in this case was driving through a construction zone when a tractor- trailer truck rear-ended his vehicle. He was 33 years old at the time of the accident and it left him severally injured. He had extensive damage to his neck and back and needed multiple spinal surgeries to correct it. Eventually, he sued the truck driver who initiated the collision for negligence. His suit claimed that the defendant should have kept a larger distance from his car, paid better attention, and maintained greater control of his truck at all times preceding the crash. The defendant flatly rejected these allegations and asserted that a third-party motorist was responsible for the incident. The jury sided with the plaintiff and awarded him $3,000,000. This figure is interesting because the only economic damages that the plaintiff prayed for in his suit were $100,000 for past medical costs. Thus, the jury was very liberal in awarding him such a high amount. This story started when a cop got out of his car on a Washington highway to inspect the area. He parked the vehicle just off the road and put on all of the emergency lights. Then, without warning, a truck suddenly jackknifed right in front of him and hit his car. The car then collided into him as he was nearby. The cop sustained multiple strains and sprains to his back and neck. Doctors later testified that he might need spinal surgery to correct the issue. The cop sued the truck driver for negligence and demanded $500,000. The defendant countered with $65.000. They agreed to compromise and move on from the matter for $315,000. Interestingly, this dispute involved two semi-trucks. One of them was stopped at a red light when the other rear-ended it. The driver of the first vehicle claimed that the incident left him with a herniated disc as well as a shoulder surgery. The defendant dismissed the notion that the crash caused these issues and offered that instead they stemmed from preexisting injuries. However, the defendant might have been threatened by the plaintiff’s expert testimony because the case did not go far before it settled for $800,000. Anytime that you file a case in Illinois for personal injury damages, there will be several complicated and consuming challenges. With back and neck injuries from truck accidents, that will especially be the case. They are difficult harms to illustrate and there are a lot of losses to prove. Therefore, it is important to utilize the experience and resources of a firm like the Rosenfeld Injury Lawyers LLC. We can make sure that you get what you deserve at no upfront cost. To learn about what recovery might be in store for you and how you can obtain most effectively, give us a call!